The ESRB (Entertainment Software Rating Board), the non-profit association that assigns ratings for videogames in the United States, has announced that they’ll be adding a new label to any games sold at retail that let customers use real money to purchase anything from subscriptions to skins, DLCs/expansions and yes, loot boxes. Unfortunately, this means it should be applied to just about all the games released in the last three years or so at least, without any discrimination. • A link to the ESRB ratings guide that provides an explanation of ESRB’s three-part rating system. ESRB president Patricia Vance shared the following statements with a roundtable of journalists earlier today, as reported by GamesIndustry. I’m sure you’re all asking why we aren’t doing something more specific to loot boxes. And I’ll tell you we’ve done a lot of research over the past several weeks and months, particularly among parents. What we learned is that a large majority of parents don’t know what a loot box is, and even those who claim they do don’t really understand what a loot box is. So it’s very important for us to not harp on loot boxes per se, but to make sure we’re capturing loot boxes but also other in-game transactions. Parents need simple information. We can’t overwhelm them with a lot of detail. We need to be clear, concise, and make it easy for them. We have not found that parents are differentiating between a lot of these different mechanics. They just know there might be something in the game they can spend money on. This is a couple of steps forward. 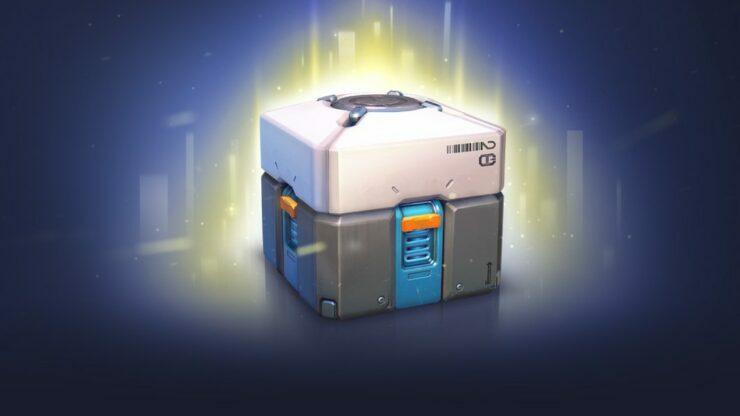 We’ll continue to work with the industry to ensure there are effective disclosures about in-game purchases in general, and more specifically loot boxes. So if there’s more that we can do, we will. Vance also replied to the concerns shared last week by US senator Maggie Hassan by sending the following letter. While I appreciate your position and concerns, given the longevity of loot boxes as an in-game mechanic, there does not appear to be any concrete evidence of ‘gaming disorders’ stemming from loot boxes nor am I aware of any scientific evidence indicating that unlocking loot boxes has any psychological impact on children more specifically. Additionally, in investigating the claims set forth in your letter, we did not encounter any loot boxes that specifically target children. Regardless, we will continue to monitor the research in this field, as well as stay abreast of parental concerns, should they arise, about the potential impact loot boxes have on children and help guide parents accordingly.